They are pretty dark pictures, because it is difficult to take a picture of a monitor and still get good lighting. 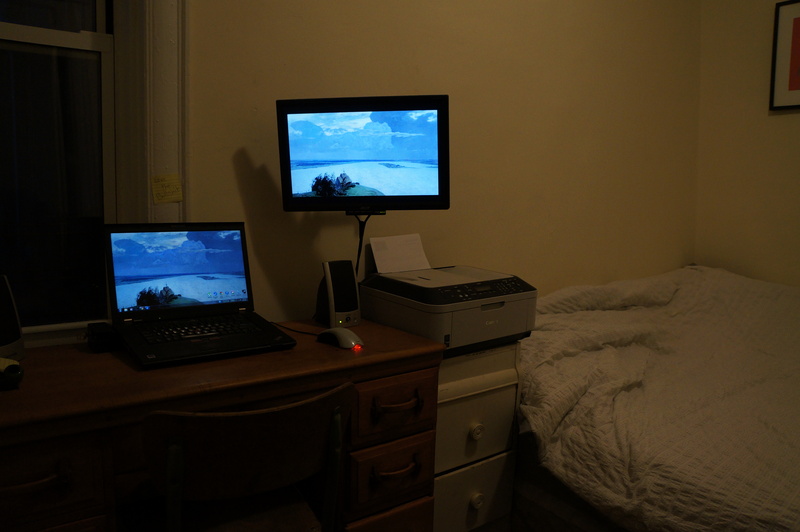 Anyway, you can see that my desk space is small but my monitor is still in an ideal position. It makes a big difference to have such a well-positioned external monitor when you are performing tasks that take up a lot of space, or require frequent switching between tabs/windows. 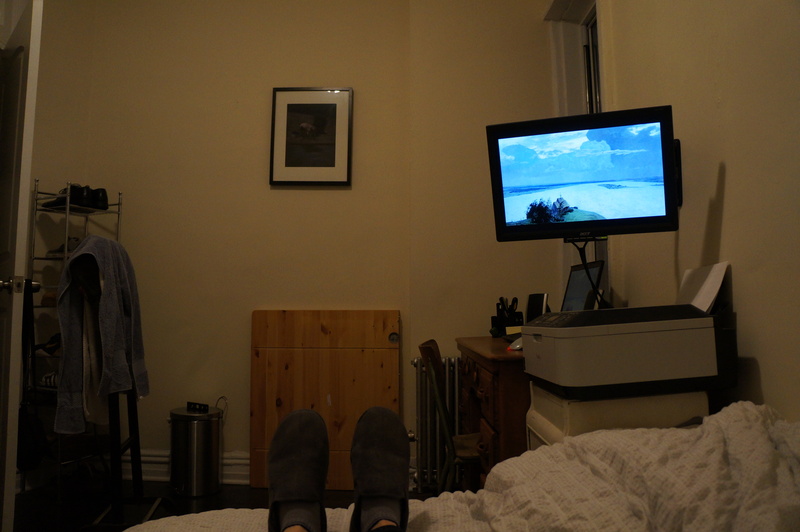 Plus, this particular setup is really versatile and I can use it to watch Netflix from my bed. The mount is a simple one, and only cost about 20 dollars on Amazon. It is basically a glorified bracket. 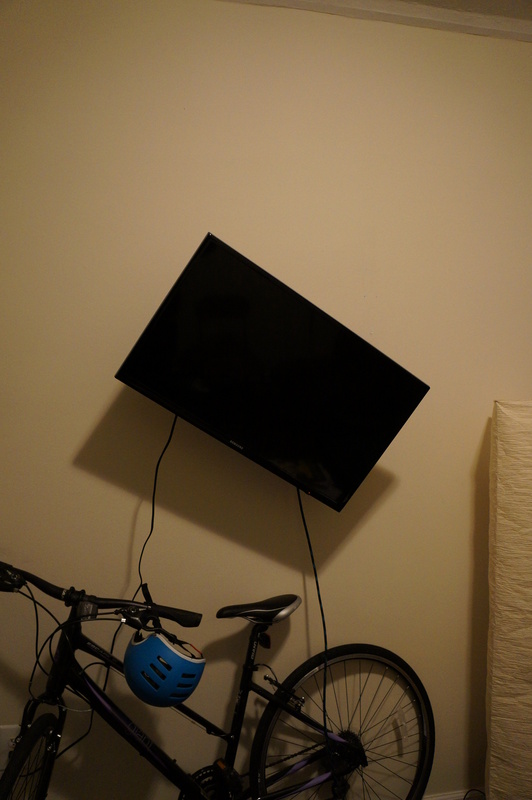 I also wall-mounted the TV in the living room (I think you kind of have to these days). That mount is a little more flashy and stronger, but it was only 8 dollars more. 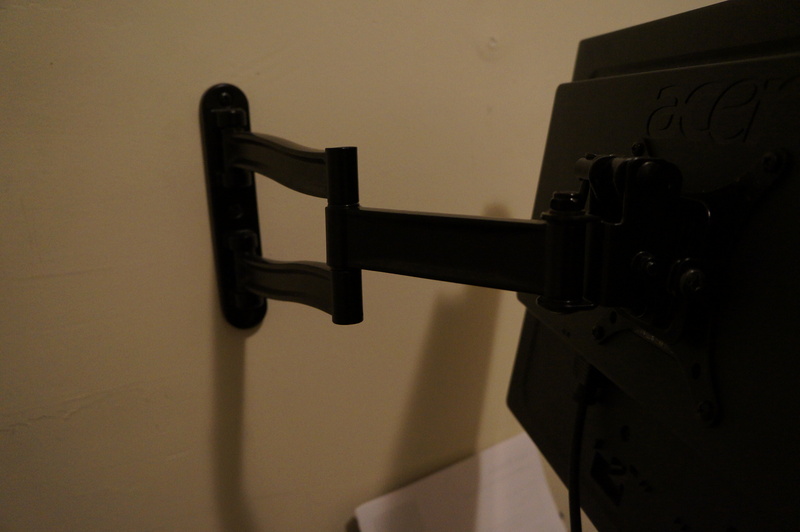 The mount for the TV is a Cheetah brand mount and it’s very flexible. 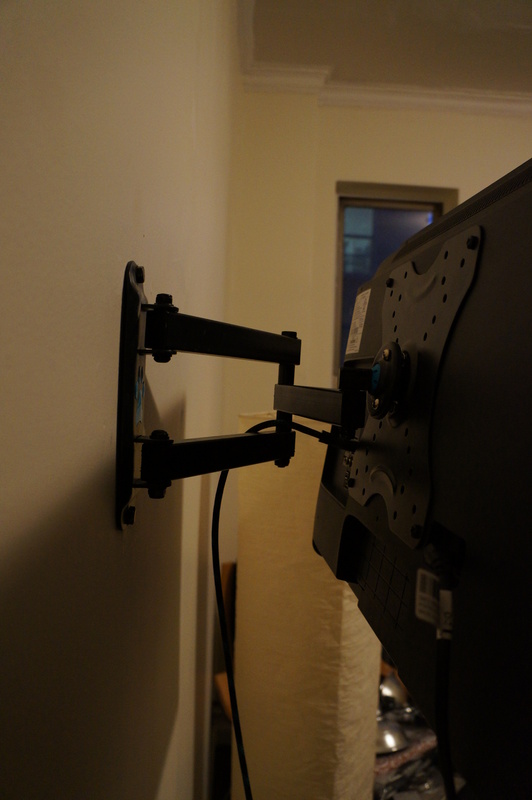 It lets you take the TV out, and position it in any way. You can even spin it 360 degrees, which I have yet to find a use for. Excuse the bike, we’re going to wall-mount that too. If you are making the most of a small space, I highly recommend wall-mounting as many things as you can.